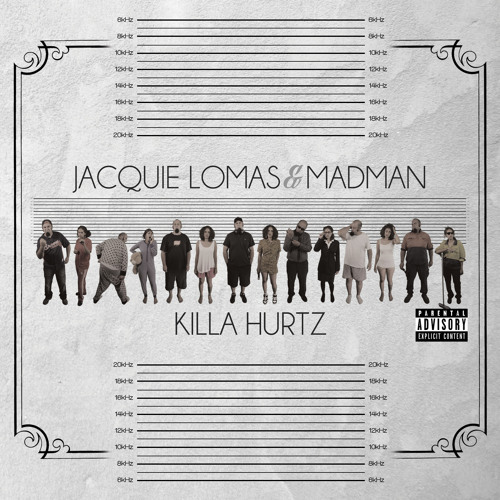 After two years of collaboration, Jacquie Lomas and Madman’s debut EP, Killa Hurtz, is finally making waves. Reunited to test the boundaries of the local Hip-Hop scene, the two first met in 2007, experimenting with sound early on with the fem-fatale banger Hooded Warriors, described as “powerful, that raw energy” by Hau Latukefu, receiving play on triple j’s The Hip-Hop Show in 2010 and featuring TLK’s (The Last Kinnection) front woman and indigenous icon, Naomi Wenitong. June 10th, 2015, marked the release of The Killa Hurtz EP, receiving airplay on both triple j and FBi Radio; with triple j Unearthed promptly adding the boisterous track Snakes and Ladders to its featured playlist of the week, tweeting “startlingly good debut tracks…” describing the EP content to it’s 61K followers. The two have worked together to create a unique electronic sound; with Madman producing some exceptionally original beats, from the combustible kicks on Roundhouse, to the mystical allure of Loogaroo, only to finish it off with a killer verse on Quitting Time, reminding the audience that he’s not just a producer. Jacquie Lomas also doesn’t hold back when it comes to lyrical content, her brutal honesty and unmistakable twang, combined with styled delivery, will leave listeners stinging for more. Killa Hurtz is 7 tracks borne of mutual frustration and anxiety, the duo exploring many modern day syndromes with it’s fellow digitally (dis)connected audience.